Siroko Travel and Destination Dahar were the first Tunisian tourism businesses to take part in a study tour to ITB Berlin 2019 organised by the IPD Tourism team. There were also companies from Nepal and Ecuador. The purpose of the study tour was to: learn about ‘how to attend’ travel trade shows, compare how the various country stands work, scout for possible German tour operator partners, attend workshops & networking events and in our case, even have some meetings with potential tour operator partners from Germany, The Netherlands and Switzerland. The momentum for Tunisia certainly seems to be there with many tour operators expressing an interest in (re)starting their Tunisia tours. The companies will be hopefully be able to benefit from the upswing and develop some great new responsible tourism itineraries that show Tunisia has much more to offer than all-inclusive holidays on the beach. IPD intends to bring many more interesting Tunisian tourism business to ITB in 2020 so watch this space! Tunisia will be one of 3 destinations (Ecuador and Nepal are the other two) to benefit from the German government’s new sustainable tourism market access program managed by the Import Promotion Desk (IPD). Tunisia has great tourism potential away from the well-known and slightly worn out mass tourism experiences on offer along the coast. It’s just a question of unlocking that potential and putting small responsible tourism products in touch with specialist tour operators in Europe. IPD’s market access program does just that and will work with 10-15 tourism companies for a period of 3 years. But first we needed to travel to Tunisia and meet relevant tourism stakeholder to get a better idea of current challenges and plans. We met with public and private sector organisations such as the Ministry of Tourism, the national DMO ONTT and various travel trade federations like FTAV, FTH and Fi2T. Common message was the desire to diversify the current tourism offering, unlock lesser visited regions of the country and to develop more sustainable tourism. It is encouraging to learn that adventure travel companies like Intrepid in the UK are gradually returning to Tunisia and taking their guests on exciting tours of the country but there is room for many more tour operators to develop responsible tourism itineraries. Does your tourism business offer something that would appeal to European tour operators? 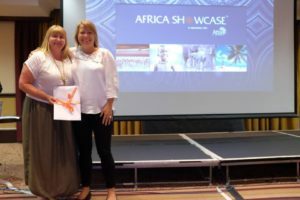 Have you got the drive and motivation to take part in a 3-year coaching process where we’ll help you improve your business operations and sustainability, get market ready and connect you with tour operator partners in Europe that want to sell Tunisia differently. Participation in the IPD market access program requires the fulfilment of various criteria, among them an evaluation of your company by our tourism experts. We are more than happy to provide you with the exact details. Get in touch with me if you would like to be sent the IPD flyer with services provided and I will connect you IPD Program Manager Nora Eichkorn. Looking forward to working with you. 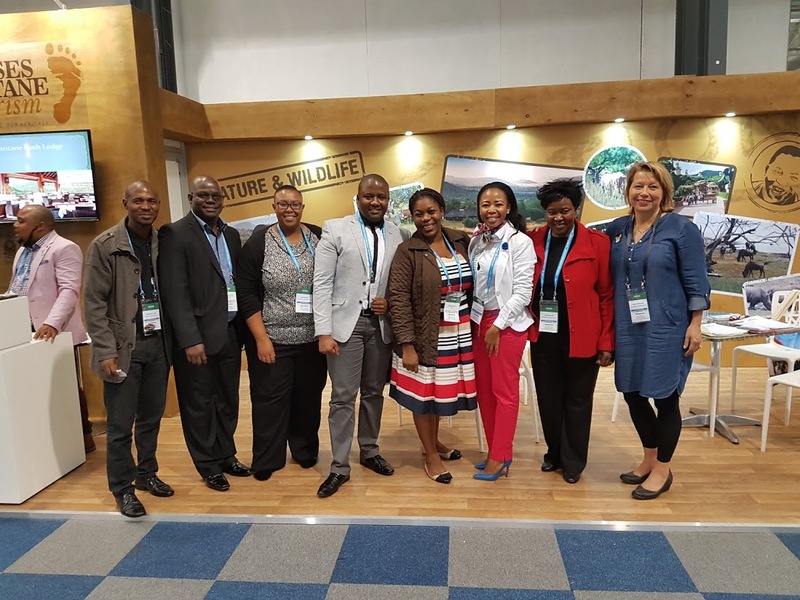 Fair Trade Tourism has partnered with enterprise development agency EICT to provide training and mentorship services to SMMEs adjacent to the Pilansberg National Park involved in the Pilansberg Tourism Incubation Programme – the first tourism incubator of its kind in the country. EICT is a black youth-owned consultancy that provides training, coaching and business advisory services for the SMME sector, ranging from enterprise development, to software, web development and business planning. The Pilanesberg Tourism Incubation programme is a three-year business development project set up by the Department of Tourism (NDT) in collaboration with North West Provincial Department of Tourism (NWDT) and the Economic Development Unit of the Moses Kotane Local Municipality (MKLM). The project was launched in October 2016 and has identified 50 Small, Micro and Medium Enterprises and enrolled them for development support for the 3 years. The purpose of the programme is to achieve economic growth, reduce poverty and unemployment by providing needs-based enterprise development support to each of the 50 enterprises through needs assessment, gaps identification, growth planning, mentorship, coaching, increasing access to information, funding networks, market exposure and general business advisory services. 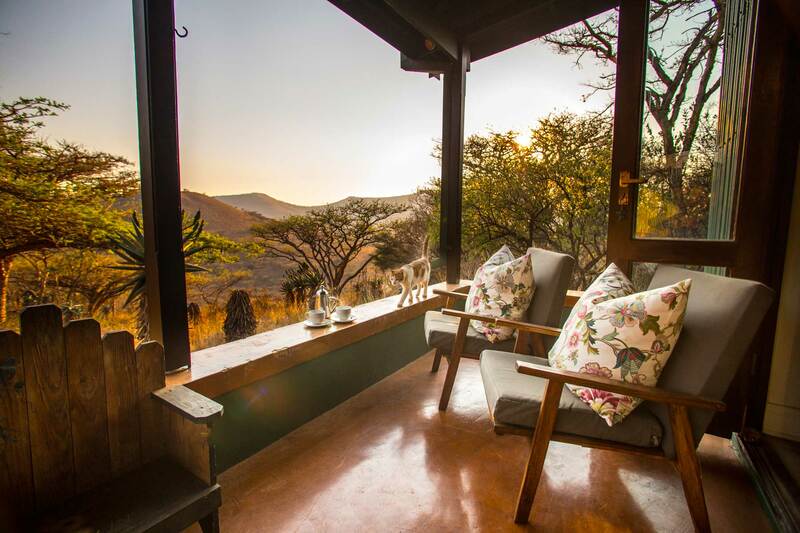 Fair Trade Tourism will provide financial management training and mentorship for 10 SMMEs, mainly comprising tour operators and accommodation providers adjacent to Pilanesberg National Park, over the next year. Jane Edge, MD of Fair Trade Tourism said these activities formed part of FTT’s commitment to promoting inclusive tourism growth benefitting SMMEs and co-operatives located around protected areas. “Unless local black businesses are given the opportunity to integrate into the formal tourism economy around national parks, the future of these parks will be dire,” said Ms Edge. “Rural communities need to derive real tangible value from the wildlife economy and FTT is committed to playing a productive role in facilitating this integration”. More details on the EICT website. 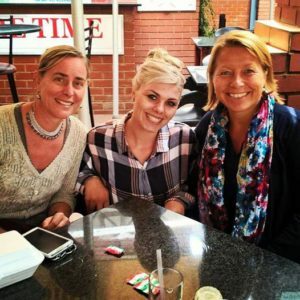 Tackling trade shows for small tourism businesses can be daunting but after a few workshops and lots of preparation the Pilanesberg Tourism Incubator representatives successfully navigated their first INDABA in 2017. More details in the PTI blog. More info from the new Three Trees website! Fair Trade Tourism (FTT) launched a new membership programme in May 2017 aimed at tourism businesses that need support with their sustainability measures but do not have the resources to become certified in the short term. For an annual membership fee, ranging from R1,100 for a sole enterprise to R6,000 for a business with 26-50 staff members, Fair Trade Tourism will guide businesses along the sustainability path, focusing on areas such as legal compliance, labour and staff management, reducing energy, water and waste, fair purchasing and improving market access. Aspirant members need to be approved by FTT’s Client Advisory Committee and to sign a pledge committing them to year-on-year improvements in their sustainability measures. Applicants fill out a self-evaluation form online about their sustainability actions and FTT will produce a gap analysis highlighting areas where the business needs to improve. FTT will provide the toolkits, templates and advice required to assist businesses along the sustainability path. For more information, contact Thiofhi Ravele, Business Development Services Manager at thiofhi@fairtrade.travel or apply online on www.fairtrade.travel. 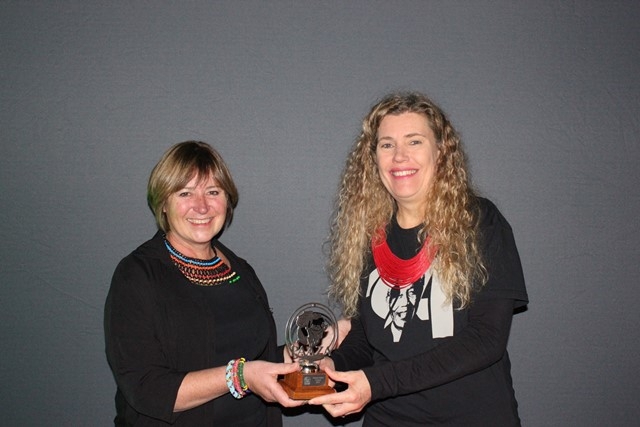 The Dyer Island Conservation Trust (DICT) was excited to receive the PAAZA Conservation Award dedicated to founder, Wilfred Chivell. The Conservation Award is given to those individuals or organizations that have made significant contributions to the conservation of African species diversity or ecosystems. DICT is a conservation partner of PAAZA – the Pan-African Association of Zoos and Aquaria. PAAZA’s mission is to guide and accredit all African Zoos and Aquaria to become effective and credible centres of animal welfare, conservation, education and research. Wilfred was commended for his commitment to marine conservation, in particular how business and conservation can work together. More information on the APSS blog. 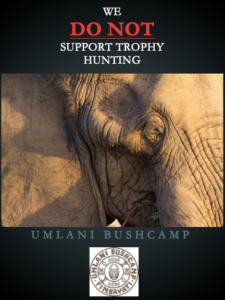 South Africa and the Timbavati have recently seen a heated debate over possible trophy hunting in the Timbavati following an article by Don Pinnock. Both the reserve and the lodge owners have now issued statements as they feel the article was unfair, lacked context and is potentially damaging to the great conservation work and tourism activity that takes place in the area. I personally (Umlani) have been opposed to the hunting to generate income for the reserves conservation efforts. Unfortunately Timbavati is a democratically run and the anti-hunting lobby is smaller than the pro-hunting lobby. I have been opposed to hunting for many years and have always worked at reducing the reliance on hunting income for the reserves conservation efforts . The conservation levy that tourists pay covers only a small portion of the budget. The pro-hunting lobby think that tourism has more impact on the wilderness than hunting and so they support hunting as a means to generate income to run the conservation efforts. All the lodges oppose the hunting naturally but we are the ones who get punished for something we do not support and the hunting lobby wins all the way. It is a matter of time before the hunting is over and Timbavati will need to find other ways of generating income for conservation efforts. The Don Pinnock article misrepresented some facts, the numbers quoted in the article are for the entire APNR like Timbavati , Klaserie , Umbabate , Balule agreed to by Kruger National Park. The campaign has been directed specifically at Timbavati lodges? All other lodges in Klaserie , Balule etc are also in the same boat as us. There has been selective hunting and tourism in Timbavati for years, it’s still the same place nothing has changed other than orchestrated media campaign organised by “Conservation Action Trust” whose trustees seem to have a vested interest in destroying the non-hunting photographic tourism lodges in Timbavati . All the lodges have put out a joint statement as well which you can find here. Africa Showcase Nordic Roadshow Feb/March 2017 – Emilie is travelling up North to represent Umlani Bushcamp, Three Tree Hill Lodge, Morning Sun Nature Reserve, Marine Dynamics & Dyer Island Cruises, Influence Tours and special Fair Trade certified guest Bahia Mar Club from Mozambique. More details from On Show Solutions. ITB Berlin March 2017– Emilie will be roaming but is happy to meet on Thursday 9 March should you wish to learn more about any of the companies. Email Emilie to set up a meeting. Do get in touch if you are having trouble reaching anyone. Am always happy to connect you. Looking forward to seeing you either in Europe or in South Africa! Wow, that was quick, where did 2016 go? It’s been a fantastic year for Green Heart Tourism and Ubuntu Experiences. Time to reflect and be thankful. 2016 was full of travel trade events in Holland, Germany, the Nordics, South Africa and the UK. I think we can safely say we did enough market acces work this past year! 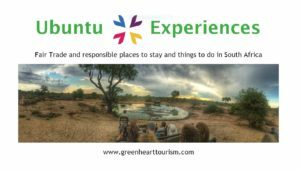 The response to Ubuntu Experiences is very encouraging and goes to show you tour operators are certainly looking for tourism experiences that give back and help create better places to live. And their guests love it too! It was a huge privilege to be able to visit and support my Ubuntu Experiences clients in South Africa in April (in combination with WTM Africa) and in September and October. Being able to provide responsible tourism support on-site as well as market acces work in Europe is what makes my work so much more interesting and effective. 2017 has many events already lined up in Holland and the Nordics. Check here to see where we will be in 2017 and let us know if you would like to meet. 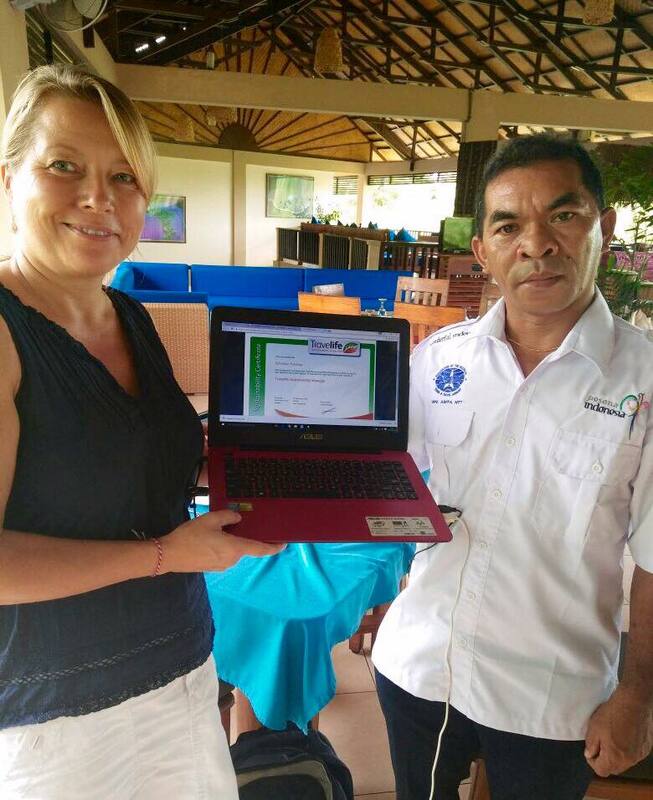 Alongside Ubuntu Experiences I have been busy in Europe and South Africa auditing outbound and inbound tour operators for Travelife but the real cherry on the cake has been my involvement with CBI as a sustainability coach for small inbound tour operators in Indonesia. It’s been a rewarding experience for me personally and has allowed me to return to a place I lived in pre-career change to responsible tourism. I look forward to wrapping up halfway through 2017. Who knows I may even squeeze in a responsible holiday while I am at it! So, 2017 seems like a year to get cracking , don’t you think? A big thank you to all my clients and various partners for working towards creating better places to live and visit with me this past year. We need to do this together. Looking forward to new and exciting developments in the pipeline. Wishing you all a fantastic 2017!